Hello, and welcome back to our blog! In our last post, we went over a few reasons that you shouldn’t trust your BMW repair issues to just any old mechanic. While we aren’t calling out the typical auto mechanic, we are saying that they may not have the requisite knowledge and skills required to properly fix your BMW’s mechanical issues. Here at Kudos Import and Performance, we deal with BMW’s every day. Our mechanics have been helping BMW owners in the Chesterfield area with their mechanical and repair needs for years. We know what it takes to properly service these amazing machines and, in today’s post, we are going to go over a few more reasons why you should only entrust your BMW to a certified Import auto mechanic. Continue reading below to learn more. Every car owner has been there. You notice something weird is going on with your vehicle so you take it into a mechanic shop to have it looked at. After a sweeping diagnostic test, the mechanic comes back and tells you that your vehicle needs a new part. While having to replace a part on your vehicle is never a fun activity eventually we will all have to do it. An even more inconvenient scenario is when the mechanic shop does not have the part in stock and have to order it. For domestic cars, this is usually not a big deal. However, what if you own a BMW? Will a mechanic that deals mostly in domestic vehicles know the best place to get a part for your BMW, or will they just find the first place that sells it and order? Import Auto mechanics deal with BMW parts all of the time. Not only are they more likely to have the part in stock, they are more likely know the best place to order a part if they don’t have it. 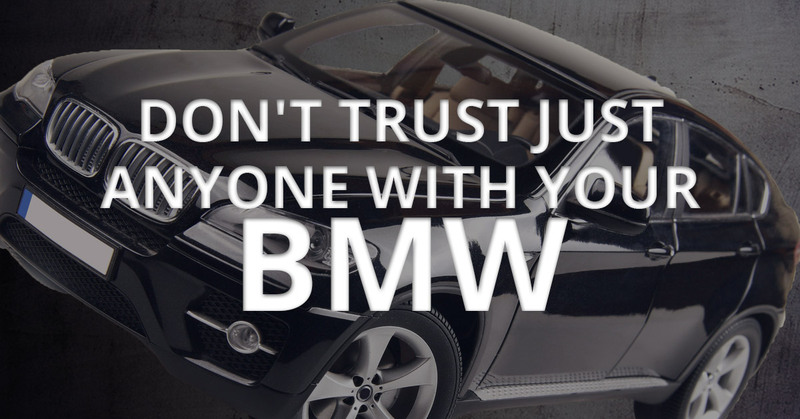 When it comes to your BMW, you want to be absolutely certain that it is in the best hands possible. BMW repairs are something that should be handled by a professional, someone who has experience with BMW’s, and someone who actually cares about the level of work that they provide. Too often, we have people come in to have their BMW looked at after having taken it to a regular mechanic because they realize that something is still wrong. Not only does this end up costing the person even more money, sometimes we find that the other mechanics have improperly repaired the vehicle. At Kudos Import and Performance, we develop relationships with our customers. Just like them, we want their vehicles to run as they should and we are dedicated to providing quality service each and every time. If you’re ready to see what a truly dedicated mechanic can do for your BMW, schedule an appointment today. We promise that once you see the level of work we can deliver, you will never want to have another mechanic handle your BMW.